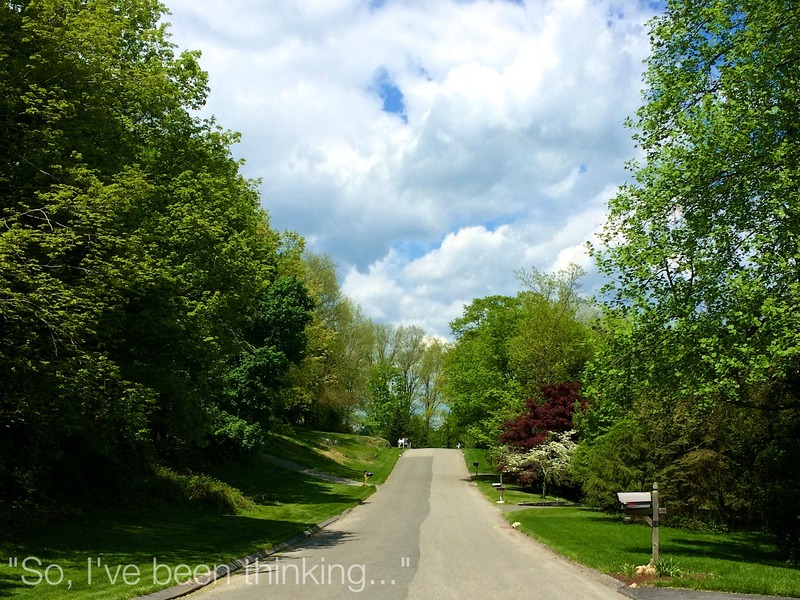 My Street - "So, I've been thinking..."
Yesterday, Tris and I got into a fight before school. It was stupid. She left in tears, I watched near tears. She wouldn’t say goodbye to me. I watched her walk down the driveway. I watched her get on the bus. I watched the bus take her away. Away from me and my anger. Away from her own. We live on a quiet street. It’s peaceful and so pretty. When I’m going out, I try to take it all in. When I’m coming home,Â I breathe in the air and find comfort. I hope, even though she left our home angry, Tris found peace in pulling away and taking in the beauty of new surroundings. I know, by the time she got home she was calm. Peaceful. One day this won’t be her street anymore, she will come and go less frequently, if at all. I don’t want her to remember being angry and sad. Or leaving in anger. I want her to remember love and happiness and joy. I want her to feel peace here. And find comfort here. This post is part of “Through the Lens Thursday” a photography improvement project hosted by Alison at Writing, Wishing and Greta at gfunkified. You know what? I don’t remember them either and I know we had them as well. That’s a relief, actually, because I’ve been thinking about this since it happened. Maybe I could let it go a little. Thanks Kristen! Aww, I want the same for my girls too and know that as they are growing up though we too will have our moments and sure they will get annoyed at me from time to time though, as well. Just hope I can keep those moments to a minimum at the very least. I think sometimes they are inevitable, sometimes one of us (probably me) needs to relax. They stink either way. Thanks Mikki! I stood at the end of your driveway to take the pics – we do have a very pretty street. That was beautiful. Nothing more to add….just beautiful. We have our moments here too, as you know. Mother-daughter relationships are tough. This really was beautiful. Thanks Michelle, I know they are and I know I’m not alone. All that knowing does not make it easier though, that’s for sure! Scarlet and I had a fight before school yesterday because I gave her 20 minutes to get dressed and she was just sitting there and tormenting her brother. Anyway her teacher came up to me after school and told me how adorable it was that she wanted to eat her whole lunch to make me happy because she felt badly about our fight. Girls. They let things go easily but they don’t stop thinking, do they? It is pretty adorable that she wanted to make you happy. Eloquent and touching, miss you and little Miss God child. The street won’t look like this when we come for Thanksgiving this year…Dave got the time this year! Keep writing and challenging yourself, Steph. You are fantastic. That is the best news! I’m so excited! And thank you – that means a lot! Oh my heart. Those are the hardest moments to let go, aren’t they? 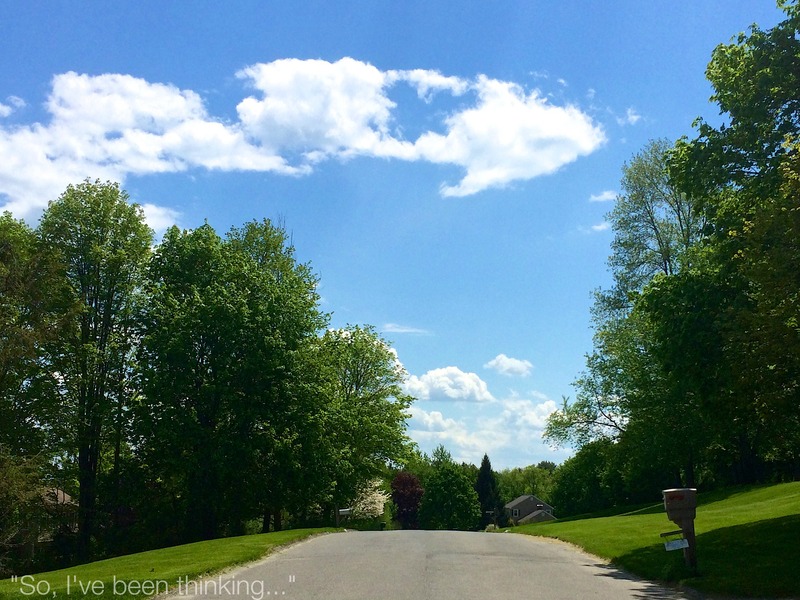 And I love your beautiful perspective… so wise and hopeful. This picture is of peace, and so are you words. They are hard to let go and I get to be hopeful every day (because there is always something!!) 🙂 I will share it with her soon. I still feel a little sensitive so I’m giving it some time. Oof, that is tough. You have a great perspective on the situation though (and of your street through your lens). Children are resilient and forgiving, thank goodness for that. I’m thankful for that every day Alison.